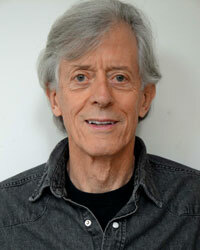 John Byrne Cooke was a member of D.A. Pennebaker's film crew at the Monterey Pop Festival, in June 1967, where Janis Joplin became an overnight sensation. Six months later, John became Janis's road manager. From San Francisco to New York, to Europe, Woodstock, and on the famed Festival Express train trip across Canada, John toured with Janis and Big Brother, the Kozmic Blues Band, and her last (and best) band, Full Tilt Boogie. 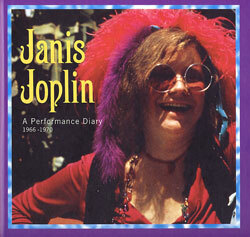 ON THE ROAD with Janis Joplin presents a unique view of Janis that provides a new understanding and appreciation of this iconic star. 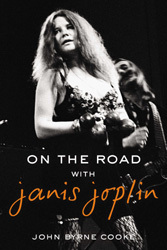 Ten essays by Janis's road manager, John Byrne Cooke, give an intimate portrait of the first woman superstar of rock in the turbulent Sixties. The book presents more than 50 photographs by John Byrne Cooke and others, a chronology of Janis's performance dates, letters she wrote to her family while she was on the glory road of rock and roll, song lyrics, memorabilia, and more. Why is freedom of the press protected by the First Amendment? How well has the press fulfilled its responsibility in wartime, when that freedom is most likely to be threatened? 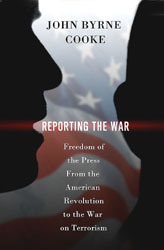 In Reporting the War, John Byrne Cooke - son of veteran journalist Alistair Cooke and an award-winning author of historical novels - explores how the press has opposed government war policies, how the government has tried to intimidate and suppress dissenting opinion, and how the press has worked to inform the public while preserving the principles of the Founding Fathers. 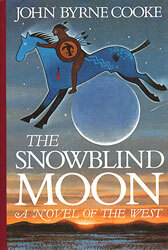 Wyoming Territory, March 1876: It is the Moon of Snowblindness, the Snowblind Moon. Meat supplies from the fall hunt are running low. Hunters venture into a world still covered with snow, spending long days away from the villages to hunt for scarce game, traveling under the springtime sun that rises higher in the sky with each passing day. Into these hunting lands of the Lakota - the western Sioux - rides Chris Hardeman, a former army scout determined to prevent an Indian war. At his side is a young man called Johnny Smoker by the white men, but among the Lakota he is known by other names that conjure great power. The Great War has ended. Prohibition and the Roaring Twenties are just around the corner. The western frontier is history, but a new generation of pioneers is bringing frontier tales to flickering life in a California town called Hollywood. Into this land of sunshine and celluloid dreams comes a legendary figure out of the not-so-distant past. He was the most famous outlaw of his time. The lawmen who pursued him across two continents thought he was dead, but they were wrong. Butch Cassidy is back. . . .
Captain Jason Beck sails the clipper ship Sarah B. Watson into San Francisco Bay and heaves to off the wharves of Gold Rush San Francisco, the greatest boomtown in American history. He expects to sell his cargo of rice and put to sea the following day, but once ashore, he finds that money is tight and rice a glut on the market. 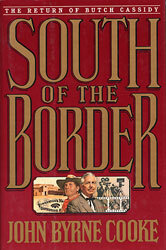 Within hours of setting his feet on dry land, he sees a man shot in a street duel and meets a beautiful young widow named Sarah Rockwell. 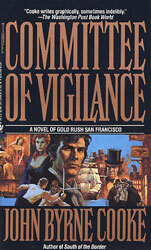 When the city's merchants organize a committee of vigilance to try the victorious duelist themselves, Jason Beck and Sarah Rockwell are caught up in the rising tensions as the city threatens to erupt in violence.